This coloring book is designed for children ages 6+. 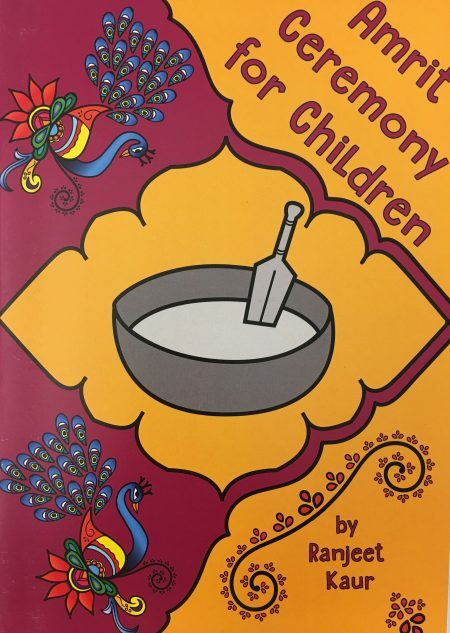 This book is designed to engage and educate young children about the Sikh baptism – “Amrit Ceremony”. 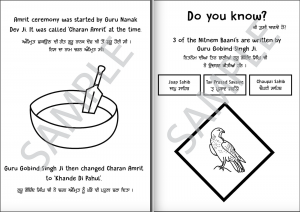 Everything is explained in easy to read format and all text is written in both English & Punjabi. Children are invited to read, color & learn!